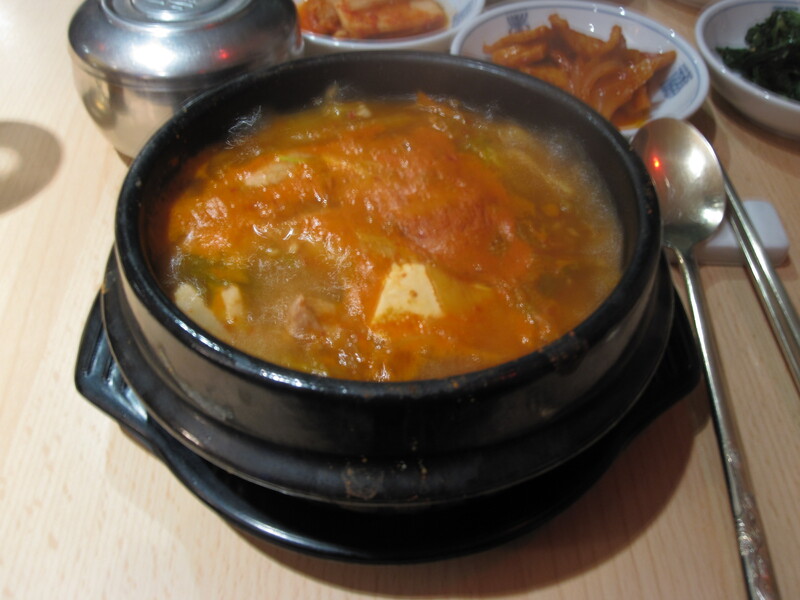 Let’s talk about Korean food in Paris, shall we? Many moons ago I recommended one Han Lim as a possible venue for getting some “spare but functional” Korean food in Paris. 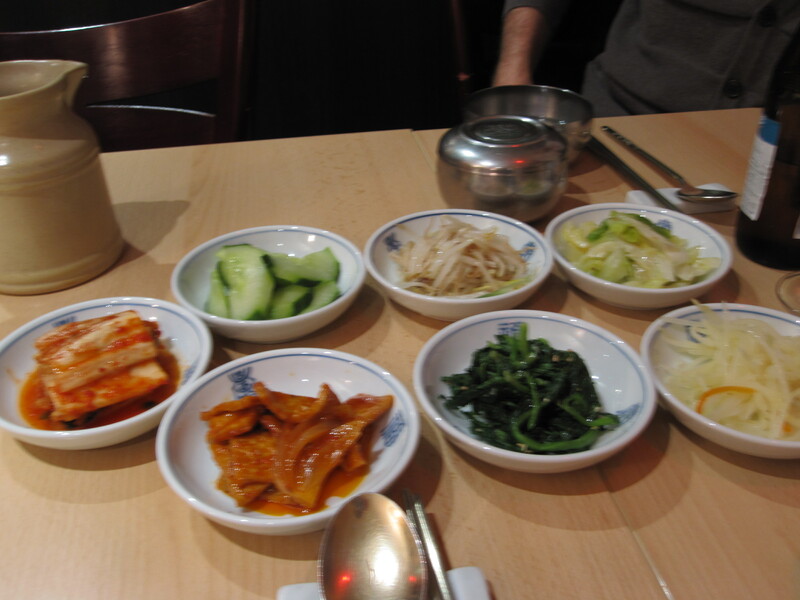 It was kind of a throwaway entry – stock photo of some kimchi, a few offhand remarks about how sick of French food I was, and some rather lukewarm praise of the place. Would you believe that this is one of my highest ranked entries? I literally can’t tell you how many people arrive at this site from googling “Korean food in Paris” or “kimchi.” If Han Lim has seen any kind of spike in their Anglophone business in the past six months, it’s entirely my doing. I can be thanked in soju. 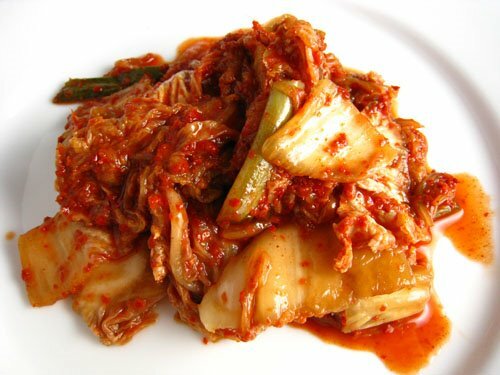 Worse yet, I believe the picture of kimchi that accompanies that totally lackluster few paragraphs is now one of the top Google images that comes back from searching “kimchi.” I stole it from some poor (now-anonymous) bloke’s Flickr or something and never even thought of giving credit where credit is due. I’m a jerk, you unnamed-yet-brilliant photographer of spicy fermented cabbage! Contact me and I’ll send you a special Keeping the Bear Garden in the Background thank you gift! As an aside, I keep telling readers to contact me for their special Keeping the Bear Garden in the Background prizes and they never do. And it’s a shame, because all of these amazing champagne stoppers and lenticular postcards are just gathering dust, when they could be keeping your leftover Prosecco bubbly and your children amused. All of this is to say that I’ve since found much better Korean food in Paris since I started frequenting the Asian district of the first arrondissement. I’m still nuts for Higuma, but have started branching out to other restaurants off of rue Sainte Anne since their kimchi ramen left me a little bit cold (I’m still a rabid loyalist to their yakatori, however). 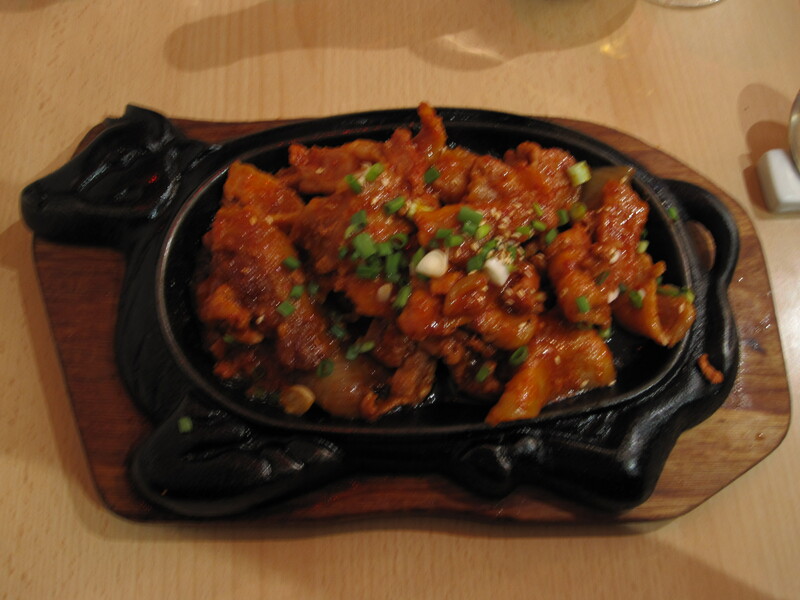 Anyway, a recent stroll led B and I to discover the nearby Hang-A-Li (7 rue Louvois, 75002 Paris, Métro Quatre-Septembre), a warm and friendly Korean restaurant that is doing some serious and scrumptious cooking. First of all, their banchan is much closer to what I’m used to from eating Korean food in Southern California. While it’s varied from night to night, you can expect to see baechu kimchi, dongchimi (cabbage in a white brine), oijangajji muchim (pickled cucumbers), sigeumchi namul (blanched spinach dressed with soysauce, sesame oil, and garlic), kongnamul (bean sprouts with sesame oil), and musaengchae (julienned white radishes in a sweet vinegar sauce). A rather thick, but lovely pajeon (savory pancakes with spring onions) can be ordered as an entrée. Our first visit, we launched headfirst in the barbeque and weren’t disappointed. We shared the bulgogi, which was everything that you want it to be and satisfyingly so, and a spicy, peanutty pork dish that uses samgyeopsal (unsalted strips of pork belly). I’d never eaten anything like it in the States, and oh man, was it delicious. It was all of my favorite things in one dish: salty, spicy, nutty, and fatty. For about 14€ a dish, with soup, banchan, and a lovely little dish of lychee-heavy fruit salad included in this price, Hang-A-Li is a good bargain, especially compared to Han Lim (which is much more expensive and not nearly as tasty). Last night we returned to Hang-A-Li with M. It was a chilly night and we were all still dressed for late summer. By the time we were arrived, nothing sounded better than a cold Hite beer and a kimchi jjigae (kimchi-based hot pot with pork and tofu). This is one of my comfort foods par excellence, and Hang-A-Li’s version lived up to my high expectations. M, who also ordered one, kept quietly murmuring “I love this soup. I love this soup.” She has much less bombastic, and far better taste than I do, so I’ll leave you with that as the best review imaginable. B ordered his spicy pork samgyeopsal and spent the rest of the evening with what I’ll call the “blissed-out pork belly face.” We’ll definitely we spending a lot of time at Hang-A-Li as the weather gets colder, and so should you. Details: Disregard everything I’ve said about Korean food in Paris until now and scoot over to Hang-A-Li for dinner. Oh, boy, that sounds good. For some reason, we don’t have a good Korean restaurant here in spite of having plenty of Koreans, but Hilo, Hawaii is not noted for fine restaurants. Same with Mexican food: plenty of Mexicans but the Mexican restaurants are not outstanding. The best dining here is at people’s potluck parties and slow food club meetings. We all have to become pretty good cooks to eat well. What’s this about stuff you send? gotta love korean food with all those free banchans and yummu gogi! Cool! Your exploits remind me of the Hong Sangsoo movie, Night and Day. L.A., NYC, NJ, Dallas, Chicago they all have great Korean Food. ^^ In Hawaii ( Kapiolani Blvd). Has great Korean food.